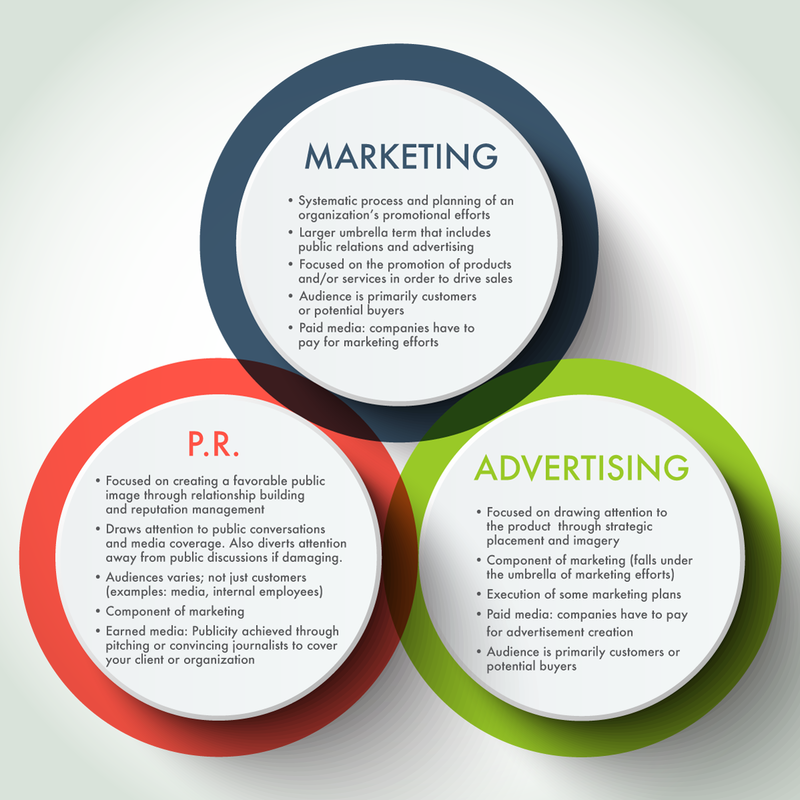 Many people confuse public relations with marketing and advertising. Although there are similarities, there also are key differences. Probably the most important difference between marketing, public relations, and advertising is the primary focus. Public relations emphasizes cultivating relationships between an organization or individual and key publics for the purpose of managing the client’s image. Marketing emphasizes the promotion of products and services for revenue purposes. Advertising is a communication tool used by marketers in order to get customers to act. The image below outlines other differences. “The difference between marketing, public relations, and advertising” by Jasmine Roberts and Michael Shiflet is licensed under CC By 2.0. Previous: Why do companies need public relations?